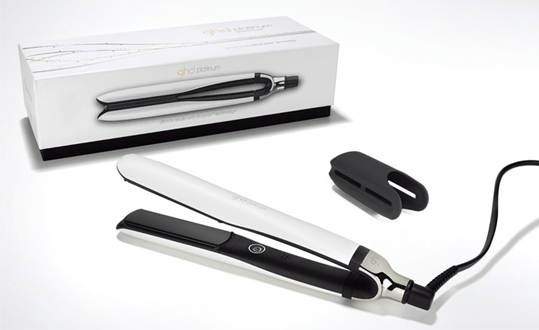 GHD Hair Straighteners, Which are the Best? GHD (otherwise known as Good Hair Day) is now a household name, being the world’s leading manufacturer of hair straightening irons, with its products being sold in more than 50,000 hair salons across the globe. Founded in Leeds in 2001 by Gary Douglas, Martin Penny and Robert Powls, GHD has gone from strength to strength and is loved by salons, designers and TV shows all over the planet. Among other accolades, the brand has appeared on The Salon and Australia’s Next Top Model and was also the first hair styling tool sponsor of the Victoria’s Secret Fashion Show. 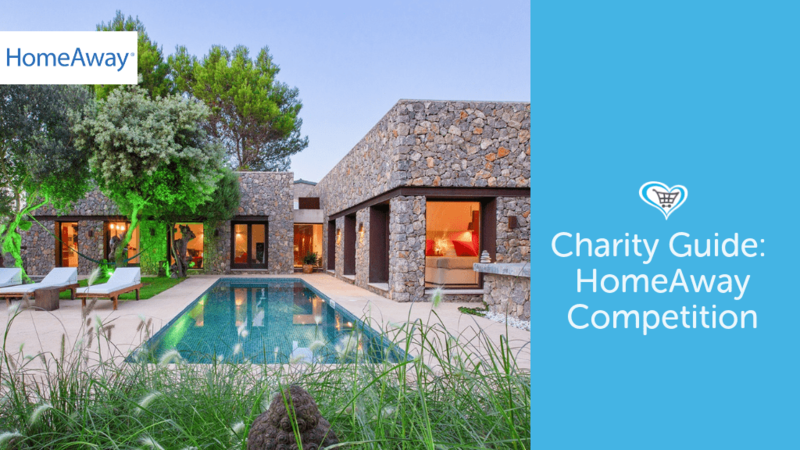 Its products are loved and endorsed by such A-list celebs as Jennifer Aniston, Madonna and Posh Spice herself, Victoria Beckham and Katy Perry has been the face of the brand since 2011. As well as its signature GHD hair straightener, the brand also manufactures high-quality hairdryers and sell a variety of helpful styling products such a heat protector spray and smooth finishing serums. Until the launch of the ghd IV, straighteners were designed along similar lines and performed one single function – straightening hair. 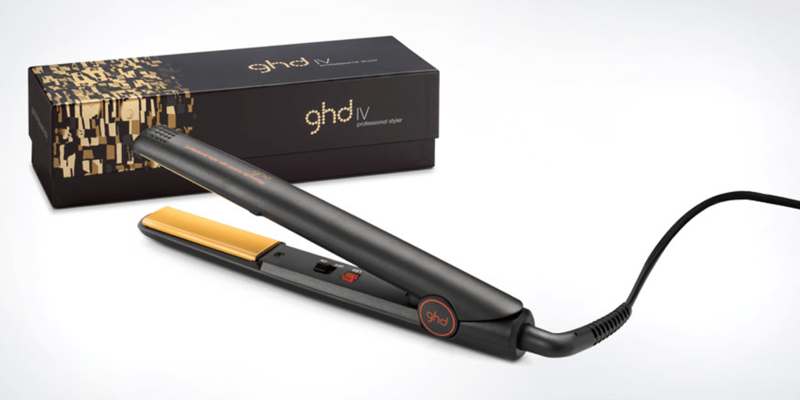 The ghd IV turned straightening on its head with one simple design change. By making the barrel of the styler round rather than squared off, hair could be twisted, waved, flicked and curled, opening up a whole new world of styling possibilities. The ghd IV offers universal voltage, so you can use it anywhere, and features a ‘sleep’ mode so you don’t have to panic that you left your styler switched on. 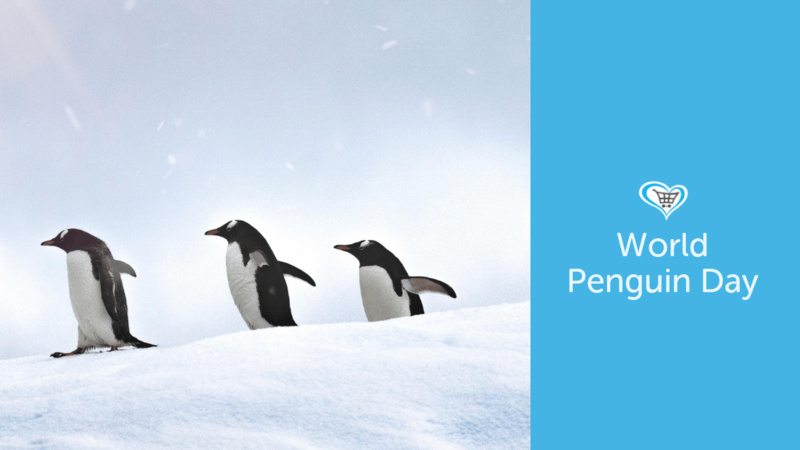 Digital temperature control maintains an even heat and there is a ‘shiver’ mode to prevent condensation damage in cold climates. 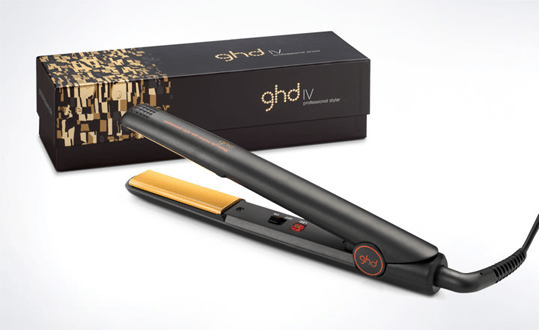 Beautiful to look at, the ghd Gold V Classic is also lovely to hold. 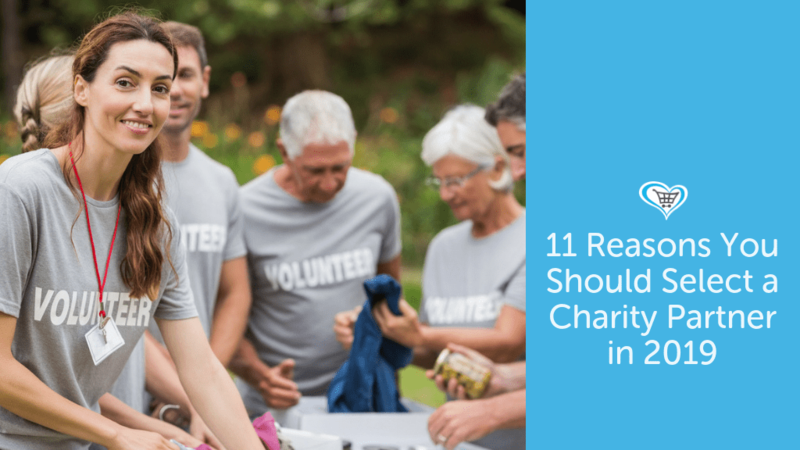 It’s designed to be extremely lightweight, so it won’t tire your arm out holding it. And with its standout gold ceramic plates, it brings a touch of luxury to your hair-styling regime too. 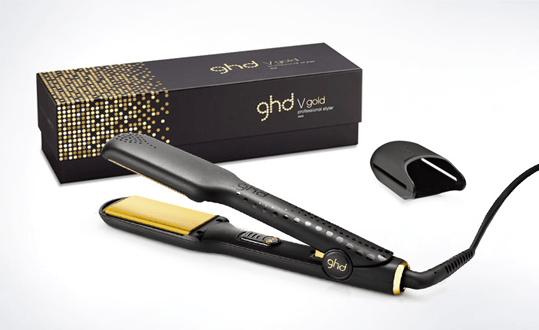 The designers at ghd have done everything to ensure that the Gold V Classic delivers top-class styling with minimum fuss. You won’t have to wait around while the plates heat up, as the styler is ready to use in around 15 seconds. A styler that takes the guilt out of heat styling, the innovative ghd platinum white styler gives you ultimate results without compromising the health of your hair. The revolutionary tri-zone® technology the ghd platinum white styler uses safer-for-hair heat to help make your hair healthier, stronger and shinier as you style. 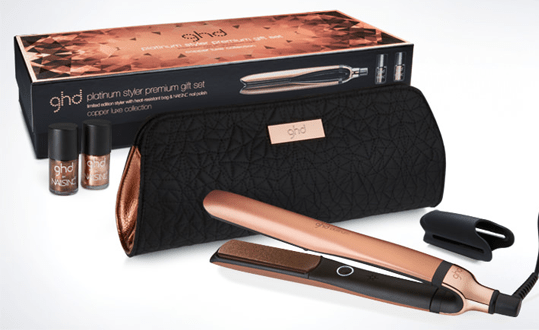 Be as bad as you like but be good to your hair, with the innovative ghd platinum copper luxe premium gift set. In an envy-inducing copper luxe finish, complete with copper sparkled precision milled, floating plates and matching wishbone hinge for greater control while styling. 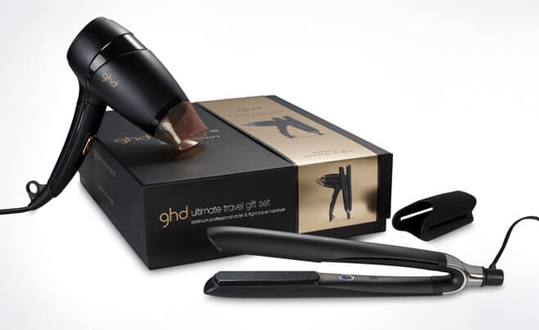 There’s no need to compromise on style or space, with the limited edition ghd ultimate travel gift set. Featuring our ghd platinum styler and ghd flight travel hairdryer, save £30 and room for that extra pair of shoes! 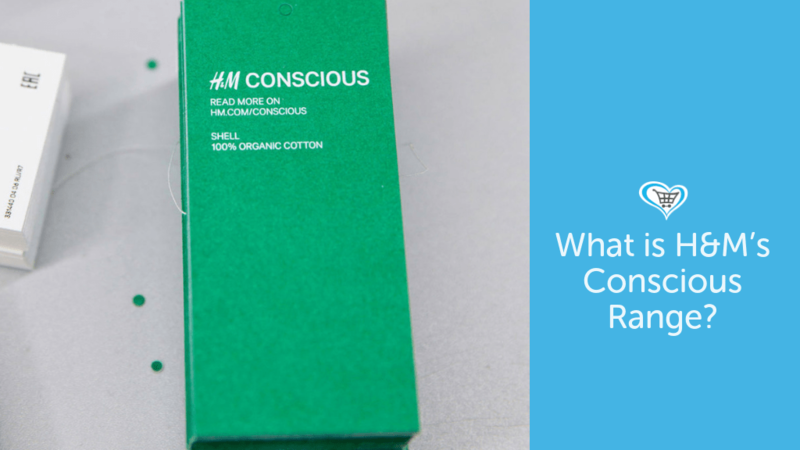 Giving you control to create smooth, sleek and healthy looking styles that last. Previous PostEating Disorders Awareness Week with BEAT! 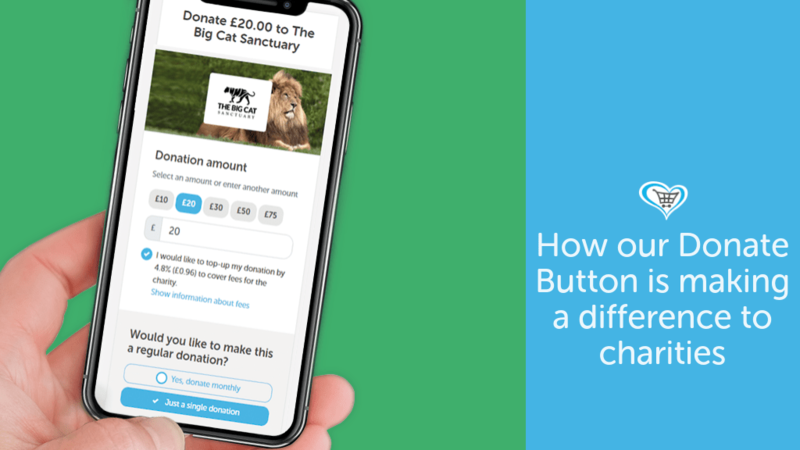 Next PostBritish Lung Foundation – Charity of the month!